Wedgewood Pharmacy and Diamondback Drugs remain committed to veterinarians and their patients. Operationally, they will be working in ways familiar to you from before: the same people answering the phone, the same pharmacists ensuring quality of your prescriptions, the same digital tools for ordering, and the same people in the same facility preparing your medication. During the next 12 – 18 months, we will be integrating our systems and procedures to make it even easier for you to do business with us. At some point in the future, all our compounded medications for animal health will carry the respected Wedgewood Pharmacy brand. 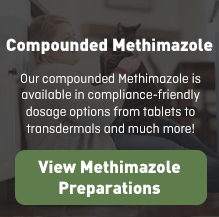 Our primary focus in making any changes is to serve our customers without interruption to their access to the compounded medications that are critical to their practices, their customers, and their patients. We remain committed to providing exactly what you need, to getting that medication to you or the patient as quickly as possible, and to the highest quality. We will be consulting and communicating with our customers during this transition to assure that we get it right for you. As the largest compounding pharmacy practicing in animal health, we expect to continue growing and serving our customers by delivering great care, high-quality preparations, and excellent service. With size comes the advanced capabilities and resources that make it easy to do business with us, a key factor in our customers' loyalty. These include access to pharmacists specifically trained in multiple animal-health specialties, quick delivery, convenient hours, and ease of ordering. One specific advantage we will have is that our combined formulary will contain more than 25,000 items for many specialties, including treatments commonly prescribed for dogs and cats, as well as equine patients, exotics, and zoo animals. Another advantage is speed. With locations in the East and West, we will be able to ensure faster delivery all over the U.S. Finally, we will be able to pool our resources to expand hours and develop digital tools that make ordering and communication faster and easier. What will change in how I do business with Diamondback Drugs? What will change in how I do business with Wedgewood Pharmacy? Nothing will change immediately. During the next 12 – 18 months, we will be collaborating to determine how to bring you the best of both companies and integrating our systems and procedures to allow us to do so. How will this change availability of the medications I need? How about price? How will this affect my clients? Our intention is that we increase availability of medications and speed of delivery. Our primary focus in making any changes is to serve our customers without interruption to their access to the compounded medications that are critical to their practices, their customers, and their patients. 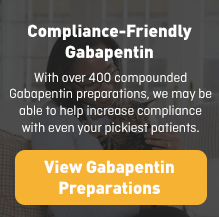 As a combined company, it gives us the opportunity to use best practices from both pharmacies to provide the broadest offering of medications, and the highest quality and service available. What's in it for me? How will service, selection, quality, availability, speed, and so forth change for the better? 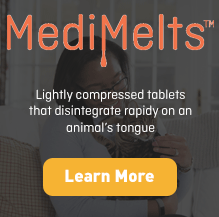 We are integrating to increase the breadth of medications available, to improve the speed of delivery to veterinary practices and patients, and to evolve the service and quality available to the market today. Which website should I use to place orders and to prescribe? Who do I call for customer service? For now, call on the pharmacy that you have grown to depend on and trust. As we move further in the integration, we will offer expanded offerings of preparations and extended business hours to customers of both facilities. Will Wedgewood Pharmacy and Diamondback Drugs continue to offer the same medications that I buy from each company now? Yes. We are not planning to change our formularies in the immediate future, except, of course, to respond to our customers’ new needs and to continue our mutual traditions of innovation. Combined, we offer the largest formulary available in animal-health compounding. We’re better, together, offering a wide variety of medications, dosage forms, and doses. Which company should I place a new order with? Continue to order from either or both companies, as you prefer, using the same methods you use now. Both companies will continue to operate under their familiar names and at both locations. In the next 12 – 18 months, we will be rolling out even more convenient ways to order, prescribe, fill new, and refill existing prescriptions, building on the best each company has to offer. If your preferred location doesn’t have the medication, dose, or dosage form you need, our Customer Care Representatives and pharmacists can search either other’s formularies to provide you with the best solution.